Get this game to teach young students basic botany. Every living thing in this image is a flowering plant—yes, that includes the grasses and fruit tree. New research digs into the genetics of flowering plants. What are flowering plants? modified stamens. 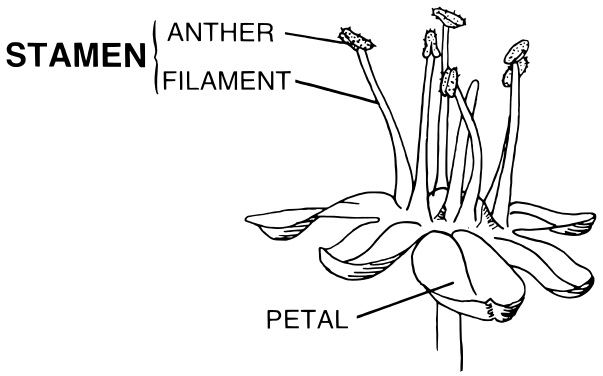 Stamens are the plant’s pollen-producing organs. The stamens of many flowering plants are so highly evolved they can only be pollinated by a single species (pollinator). reduced size of gametophytes. 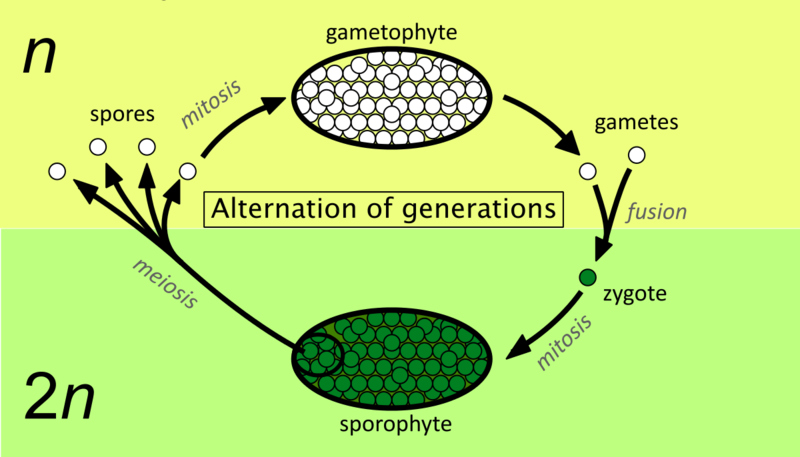 A gametophyte describes the very early, sexual stage of plants and some algae. In flowering plants, the reduced size of both the male and female gametophytes helps reduce the time between pollination and fertilization. 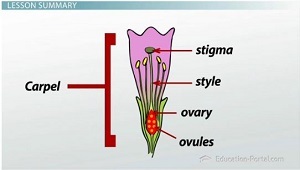 Pollination describes the time it takes for the pollen grain to reach the (female) pistil. Fertilization describes the next phase of development, in which the male and female gametophytes combine to form a diploid (double-chromosomed) organism called a sporophyte. closed carpels. After fertilization, the seed-bearing part of the flower (carpel or carpels) closes itself off. 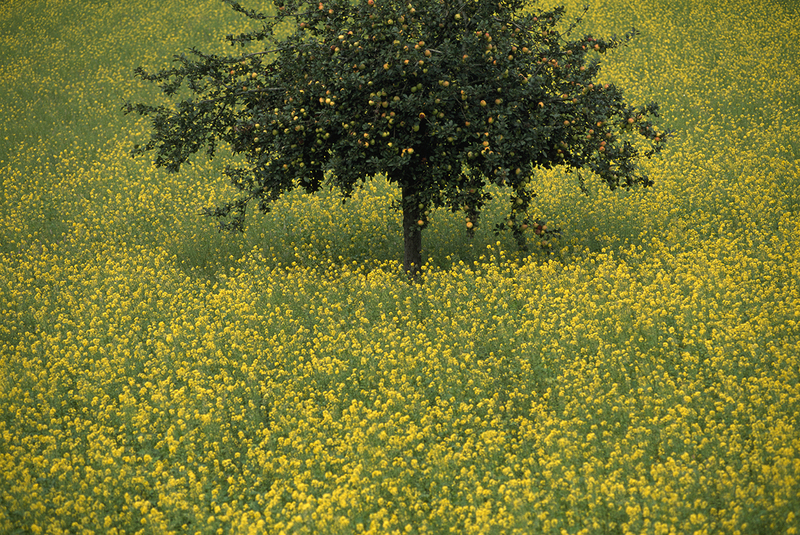 In many flowering plants, carpels develop into fruit. This is another nifty adaptation: Fruit—so colorful, so sweet-smelling, so delicious—is attractive to animals. After they eat the fruit, these animals are likely to poop out and disperse the fruit’s indigestible seeds. endosperm. Endosperm is the starchy tissue surrounding the seeds of most flowering plants. The plant embryo relies on endosperm for nutrients. Humans like endosperm, too, whether it be ground up as flour (wheat endosperm) or eaten raw (coconut “meat” is endosperm). So, that describes about 90% of plants on Earth. What other kinds of plants are there? gymnosperms. Like angiosperms, gymnosperms are seed-bearing plants, but their seeds lack a protective cover (ovary). Gymnosperms include conifers (such as pine trees and cypresses) and ginko. bryophytes. These plants are generally moisture-loving and include mosses and liverworts. ferns. These pretty, ancient plants have neither flowers nor seeds, but reproduce through spores. horsetails. These weird “living fossils” have non-photosynthetic leaves. clubmosses. Clubmosses, like horsetails, are nicknamed “fern allies” because they reproduce through spores. Millions of years ago, ferns and gymnosperms dominated the Earth. According to the new research, how might angiosperms have crowded them to a smaller ecological niche? Read through the nice BBC article for some help. genome downsizing. An organism’s genome is the set of genes that hold all the inherited characteristics of the organism. Flowering plants, it turns out, have a much smaller genome than gymnosperms, ferns, or bryophytes. According to the BBC, “By shrinking the size of the genome, which is contained within the nucleus of the cell, plants can build smaller cells. Angiosperms can pack more veins and pores into their leaves, maximising their productivity.